While I am not an anthropologist, I’m guessing awkward pauses cross all cultures. More than ethnicity, I believe the differences are more about introversion-extroversion and compulsive talking. Compulsive talkers never have an awkward pause – they’re always talking. The good news is you can be rude to them and they don’t even notice. Quite liberating actually. Extroverts tend to judge themselves by how they are received by others. An awkward pause could be debilitating. On the other hand, introverts do not get their energy from others and would most likely not respond to that which would evoke a pause in others. Dates, job interviews, and testifying in court are some settings in which the awkward pause could be damaging. This is a good argument for rehearsing for those performances. What about spontaneity on dates? Okay, be authentic, but think before you speak. A friend of mine believes that relationships are primarily about energy. When you are interacting with someone your energy level either goes up, stays the same, or goes down. If it frequently goes down, it means you are working, and you should take a hard look, and evaluate the quality of that relationship. I know when I’m with my best friends, for example, my energy level almost always goes up. The obverse of the awkward pause is the deliberate pause. This powerful device is grossly underused, as people talking avoid dead air in the same way that radio and TV do. The pause causes the other person to reflect and respond. The ball is in his or her court as they say. Salesmen have known this forever: ask for the order then shut up. Try it with someone you know. After you greet them stop talking and see what happens. Michael Tompkins, Ed.D. 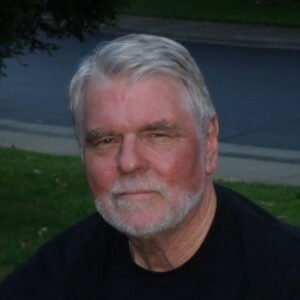 is a licensed clinical psychologist who practices in Sacramento and the San Francisco Bay Area.